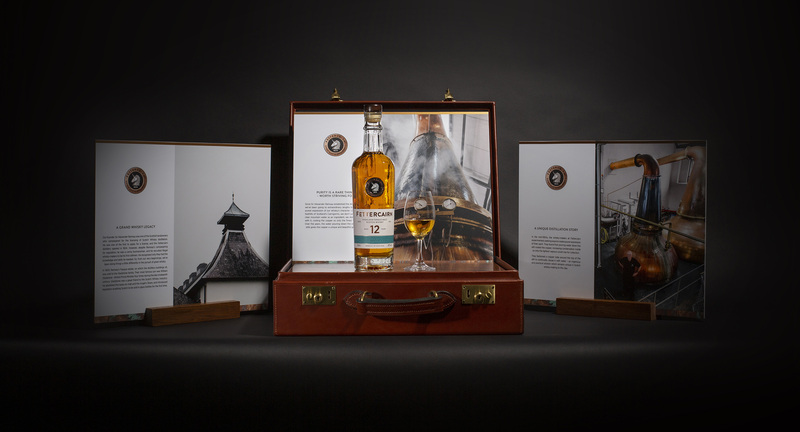 Pod were approached by the team at Fettercairn to develop a new brand ambassador kit to help promote their premium single malt scotch whisky. Following a detailed brief, it became clear that an innovative solution was required – one which facilitated the transport of sample product as well as providing an attractive and compact solution for tastings and small exhibitions. 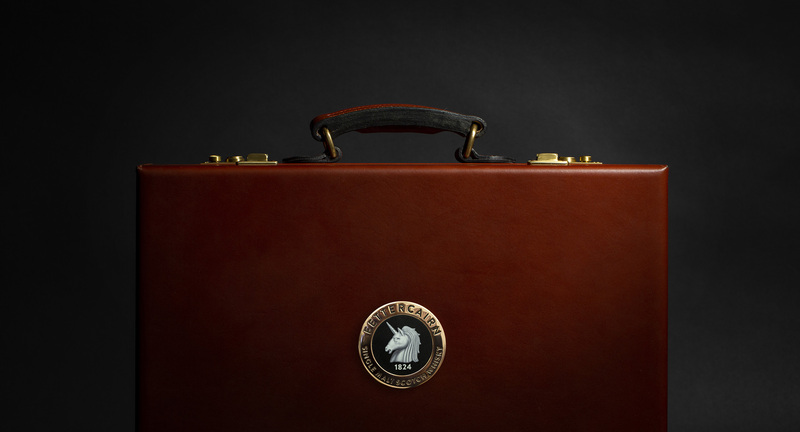 Taking a lead from the premium nature of the brand, a bespoke leather-covered case was hand-made from the finest materials. 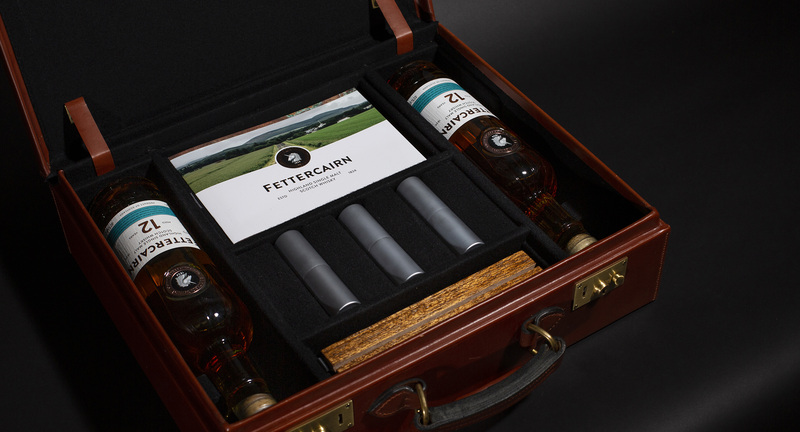 As well as providing storage for product and signature aroma atomisers, the case also converts into a portable bar top with accompanying display cards. An all-in-one solution which perfectly compliments the brand.